A few weeks ago Clay and I spent closing weekend in Vail at Hotel Talisa. 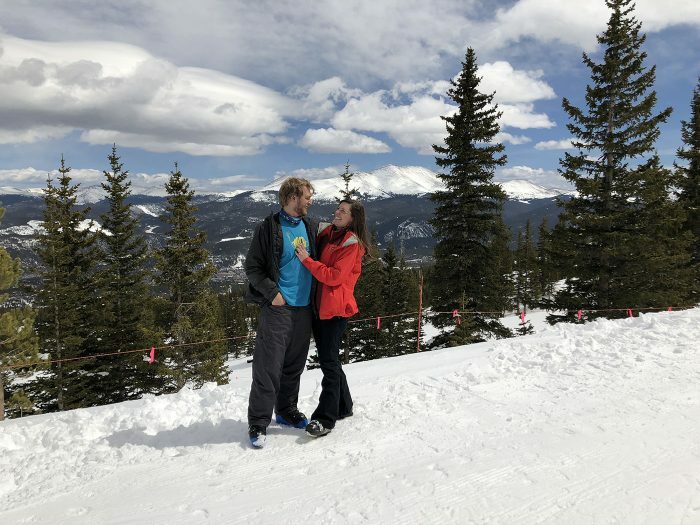 If you remember Clay and I took a ski trip to Vail with Hotel Talisa at the beginning of the season and had a blast – read about that trip here. Ski season may be over but Spring is just starting to heat up so now is the best time to book and save at the Hotel Talisa. Plus, the spa just opened and its SO beautiful and amazing. Hotel Talisa is offering special discounts for locals looking for a weekend or weekday getaway. Spring Staycation Experience – $169/night inclusive of a $50 resort credit (perfect to put towards the spa or dining/beverage!) valid through 6/14. 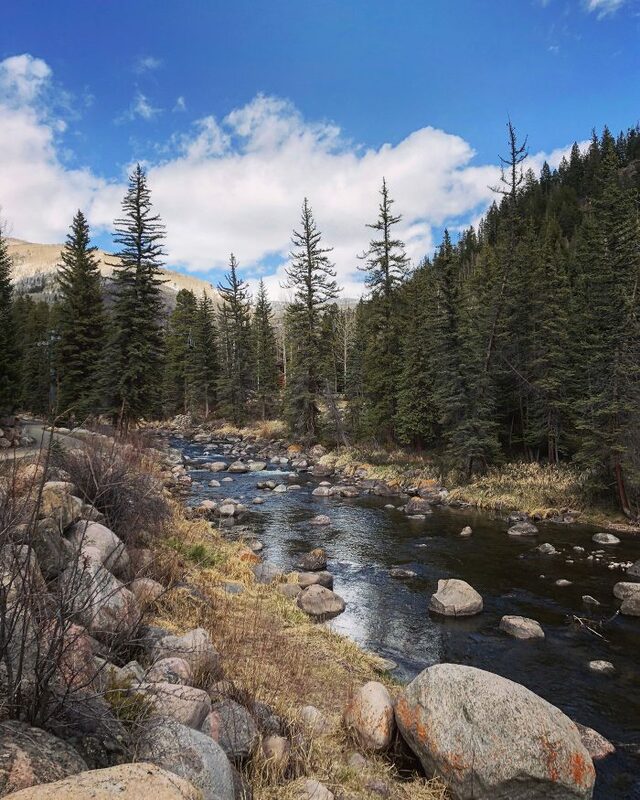 Colorado Resident Savings – 20% savings on nightly rates for stays through 9/30 – so it’s wonderful for a summer getaway or to check out the changing leaves this fall. 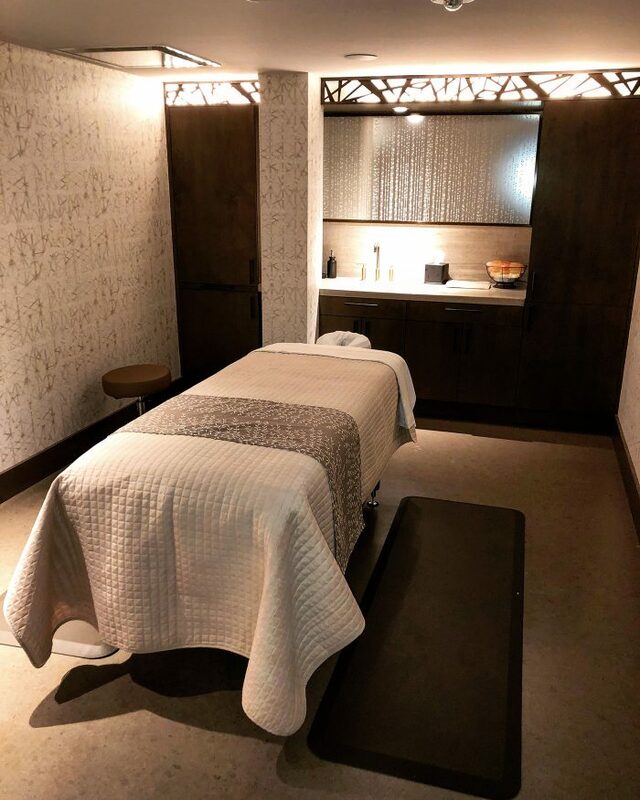 Spa Specials – Up to 40% off spa services through June 15th, perfect for mother’s day or for spa pampering! Clay and I drove up for the a night and while he skiied I spa’d! I chose the Hight Altitude package which was a TWO-hour massage complete with food rub and finished with an oxygen tank. It was freak’in incredible. Seriously, hands down the best massage of my life. Let me qualify this, I get a massage monthly, I get some work done but this… this was next level. 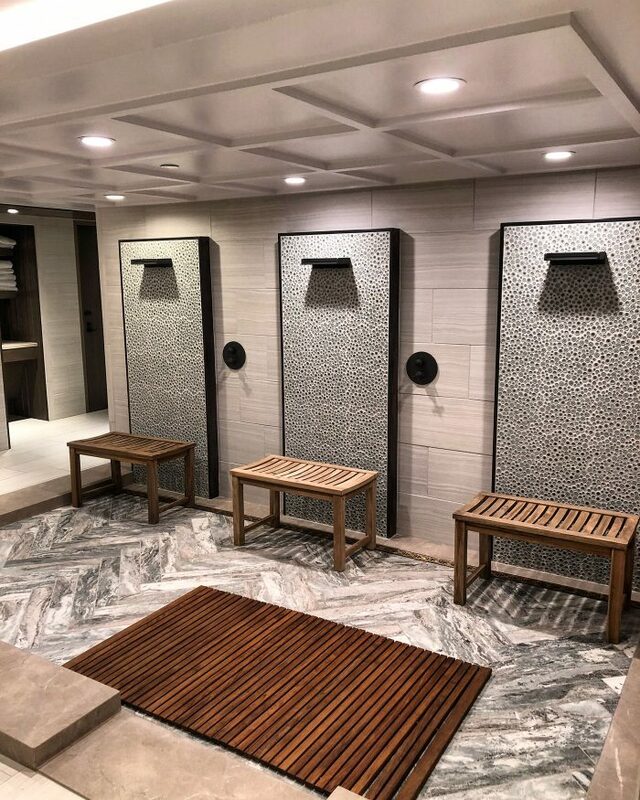 It definitely helps to put on the robe have access to the steam room, sauna and lounge to enjoy as well. Michelle was my masseuse and she is a miracle worker. I mean the spots she got on my back… damnnnnn. So ask for her! As always our stay at the Hotel Talisa is nothing short of fabulous. After the Spa, I hit the slope for a few runs before we came back to enjoy some hot tub time. 50-degree spring weather feels like 70’s out by the pool. We jumped between the pool and hot tub, drank champagne and ate chocolate chip cookies. Because there are free chocolate chip cookies followed by champagne sabering in the afternoon! Seriously nothing short of fabulous at Hotel Talisa. Also, the spa is gorgeous! The decor is bight, airy and relaxing. I am obsessed with all the art and little touches they do around the property so no surprise the spa is just as amazing. 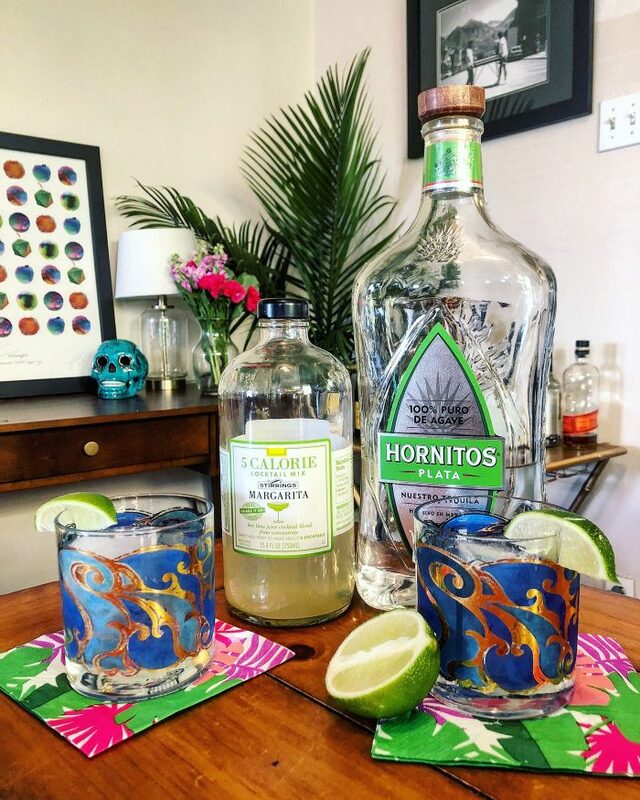 The 5 Calorie Marg with Stirrings + Giveaway! Yep, starting this post out with some Phish lyrics! Why? Because they are singing about my spirit of choice, Tequila! Should have known that four years of eating almost exclusively Texmex in college would turn me into a lover of all things Tequila! 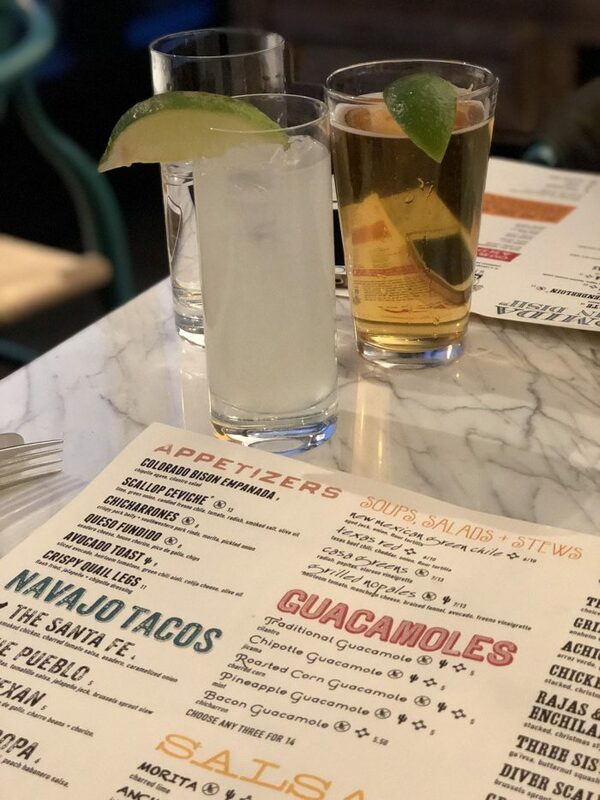 When I settle up to the bar I order one of three things a Margarita, a Paloma or a silver Tequila with a splash of OJ and Tonic – all three are delicious and refreshing! 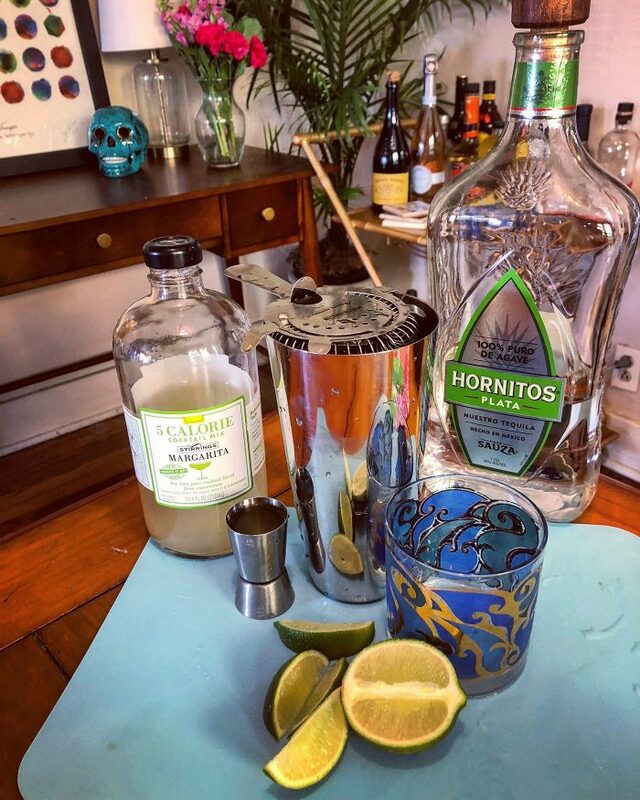 Today, I am so excited to partner with Stirrings the makers of some bomb.com mixers to create the perfect margarita. Why is it perfect, well because this mix only has 5 calories! Win-Win. 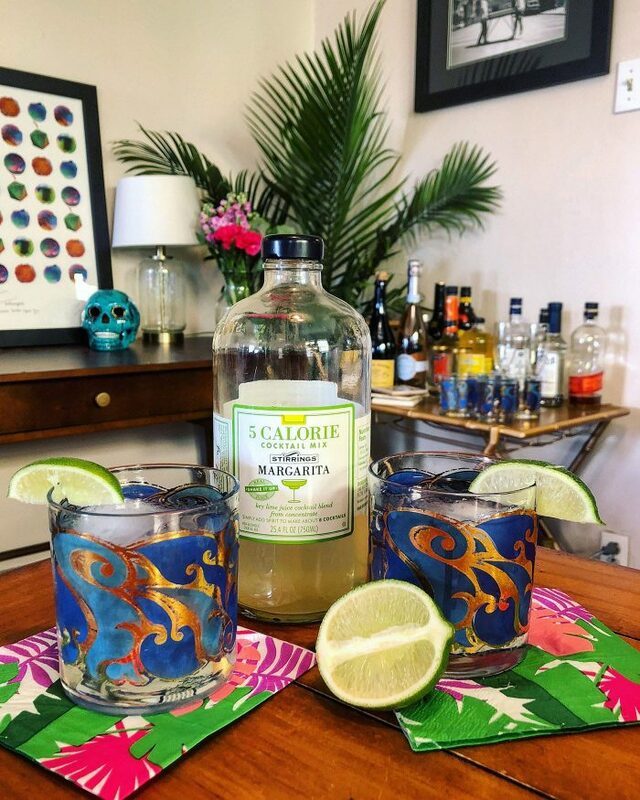 A lot… I mean basically all Margarita mixes can be pretty damn sweet but this one is perfectly sweet and a little sour… almost like a “Coin” Margarita. The recipe is super simple 1.5oz. of your Tequila of choice, 3oz. of Stirrings 5 Calorie Mixer, shaken over ice and served, voila! As you can tell by my half full (always look on the bright side people) I have been sipping on my Stirrings Mix already. You can find this recipe and other fun recipes on their site too. 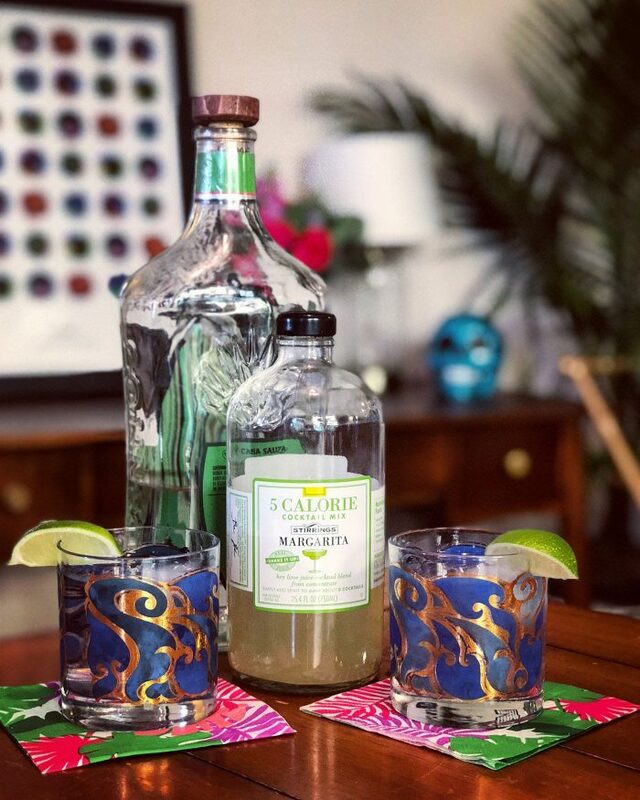 Cinco De Mayo is around the corner so to celebrate I am partnering with Stirring to give one lucky BMB fan their own Stirrings Margarita Mix! You can enter below and enter on Instagram as well! Good Luck! Have you ever been to Denver? I mean really been to Denver, not flew into DIA hopped on a shuttle and headed straight to the mountains. No? Well, neither had I until I packed up my bags and move here. 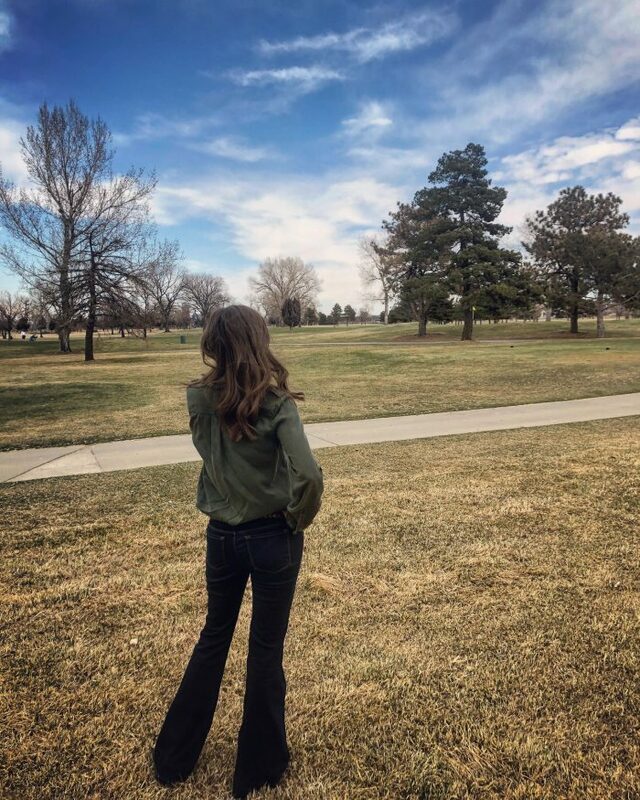 Well, actually I visited once a few months before but I had already decided with Denver’s close proximity to the mountains and international airport, this was the place for me. My feelings were confirmed on that first visit when I saw the Neiman Marcus in Cherry Creek and sipped drinks on the Linger rooftop! 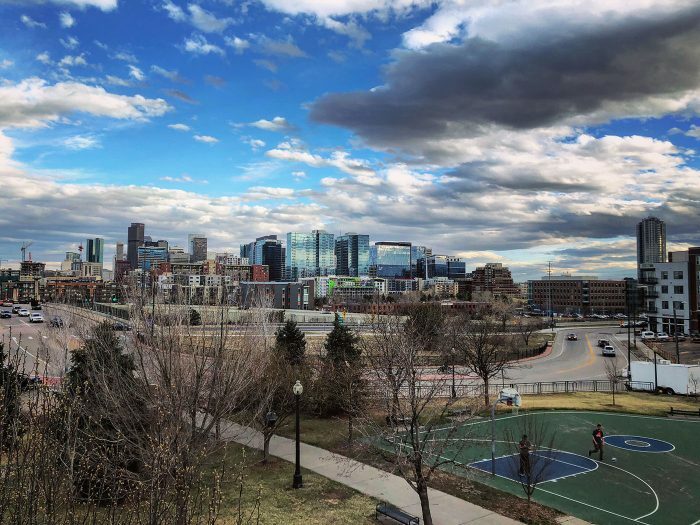 A lot has changed since I moved to Denver 6 years ago so here is my quick guide to this amazing city. I must warn you though… during and after your trip to Denver, you may experience strong feelings to pack up and move across the country. Totally normal, happens to everyone, seriously I mean with over a 1,000 residents moving every month! Denver is THE place to be. But really don’t move here we are full! 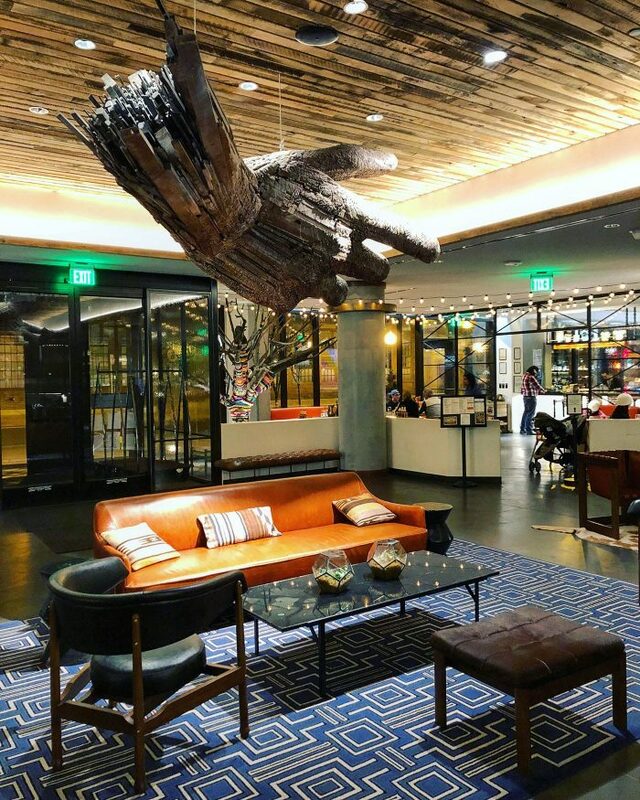 Find a hotel in LoDo, Downtown or RiNo you will be set. Here are some of my favs! 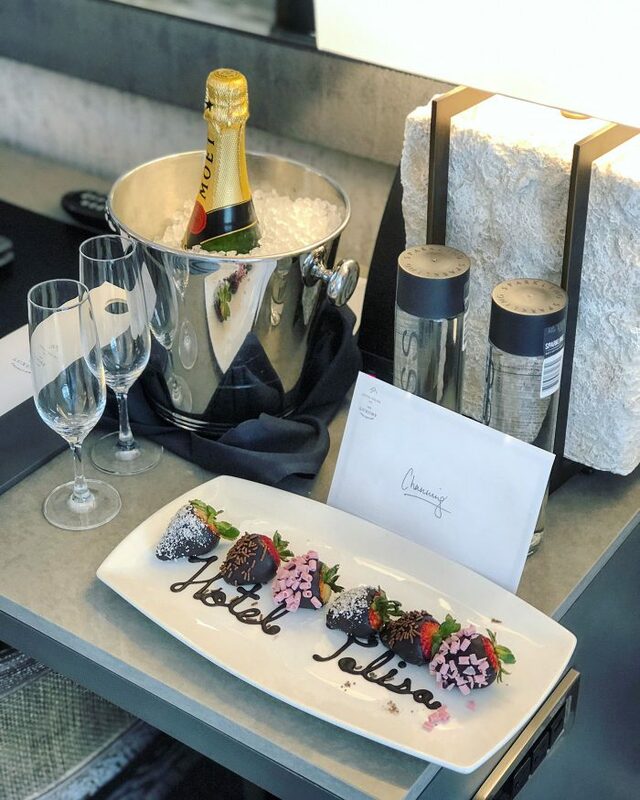 Denver Hilton – Great for a work trip! Hotel Teatro, The Maven in the Dairy Block, The Hotel Monaco, & The Crawford Hotel. Linger – This was the hottest restaurant in the city when I moved here and still is. You will need to make reservations in advance! Totally worth it! El Five – Linger’s sister restaurant that stole back its beautiful rooftop. 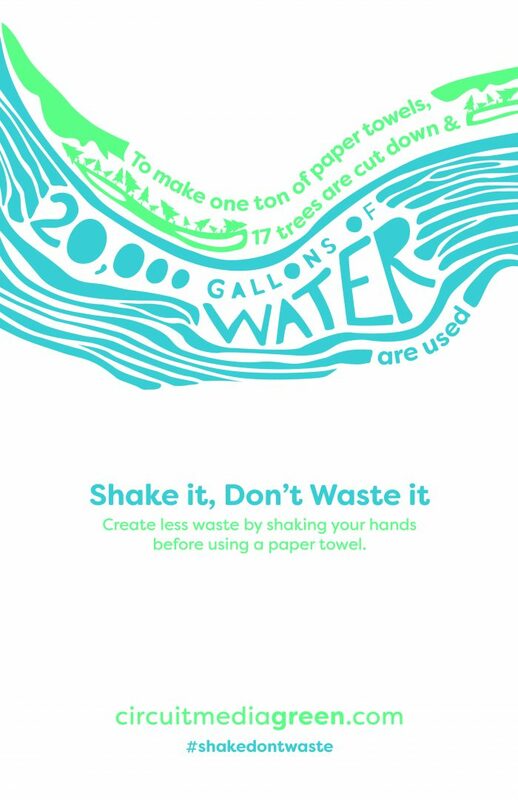 Make reservations even for grabbing a drink! A must see/do! 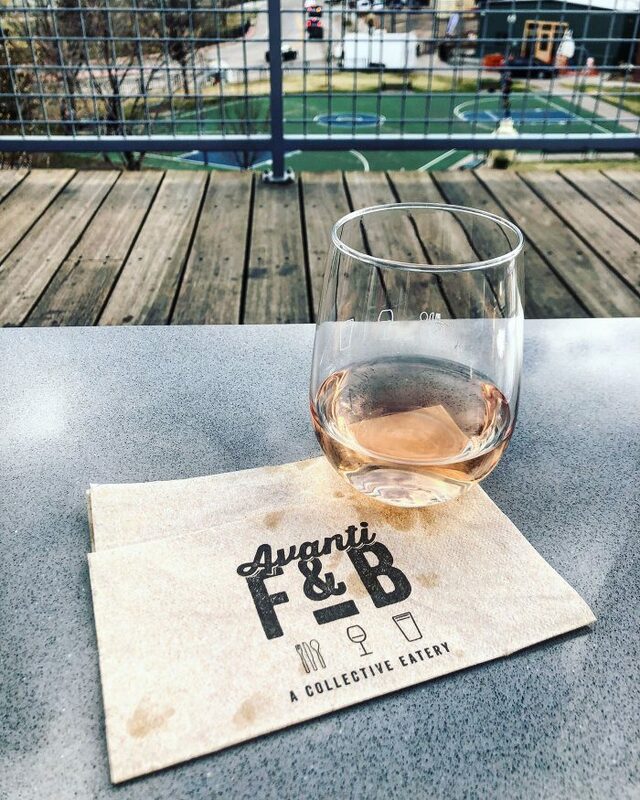 Avanti Food & Beverage – Food stall and rooftops – this is perfect for feeding a crowd, day drinking, happy hour… really anytime it’s fun. 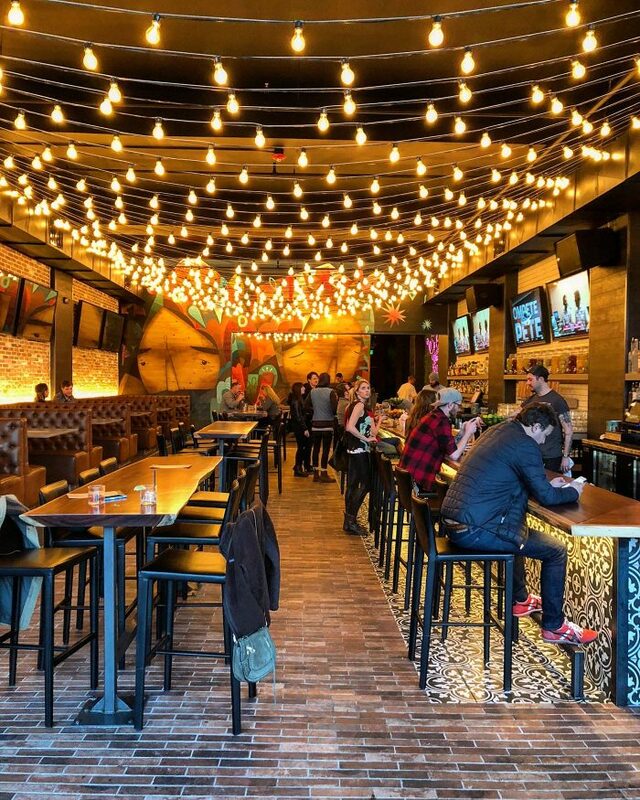 Kachina – Snap the perfect insta, eat delicious and totally different street tacos and sip on perfect margaritas. Plus The Dairy Block is SO COOL. 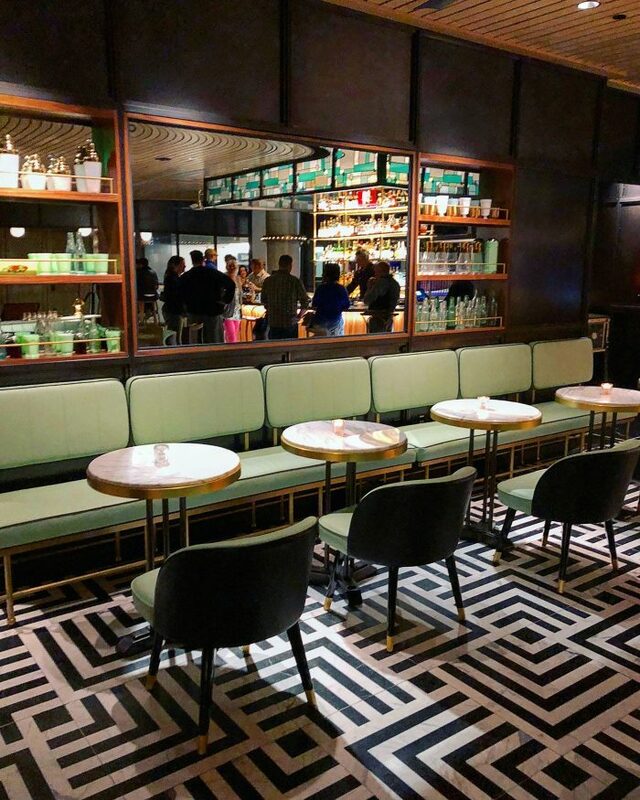 The Poka Lola Social Club is the lobby bar and it’s so fun. 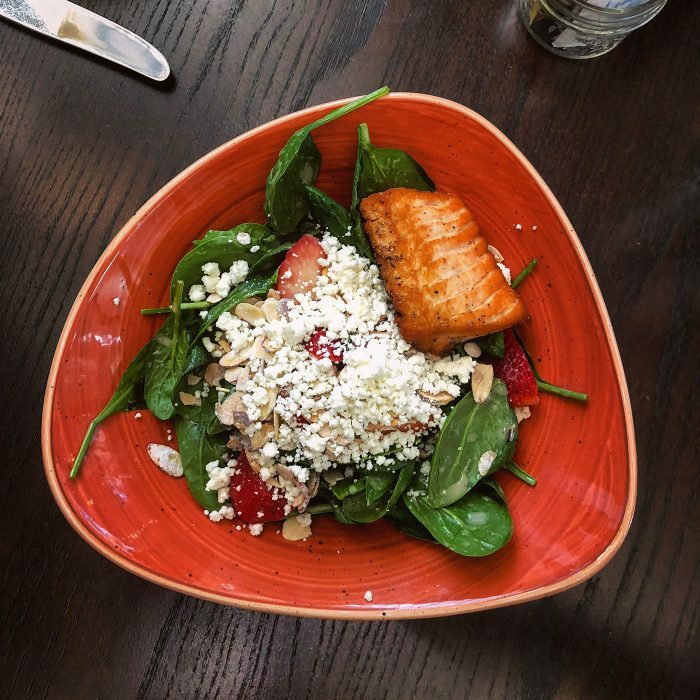 Snooze – With a few locations around Denver this local favorite has amazing brunch. Be prepared to wait! The Rio – Cheap margs and yummy Mexican, The Rio is a Denver staple also great for big groups. Pizza Republica – If you are here for work at the convention center this place is right there and SO freaking good. I love their pizza. 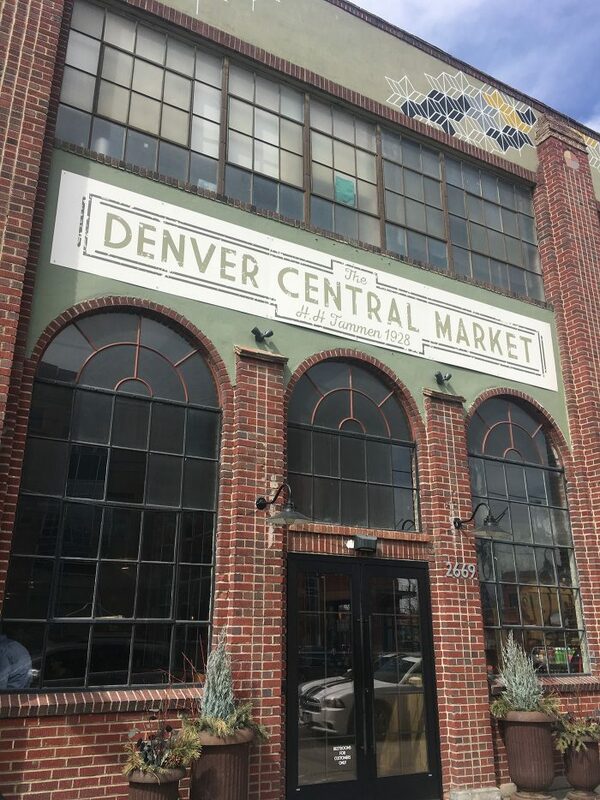 Other places to check out – Cart Driver, Hop Ally, Denver Central Market, Margs, Blue Moon Brewery, Barcelona Wine Bar, Tupelo Honey, The Pig & The Sprout, Masterpiece Deli. I will be the first to admit the LoDo bar scene is not my scene, but the area is literally covered in drinking wholes from unci-unci nightclubs, MTV Spring break bars, dive bars, breweries, and distillers you will have no problem bar hopping in this area. El Five – Head to here for drinks before your reservation at Linger. Or if you can eat here too, the food, drinks and the VIEWS are incredible! Ophelias – Check out the lineup and come here for drinks also great for brunch or dinner! 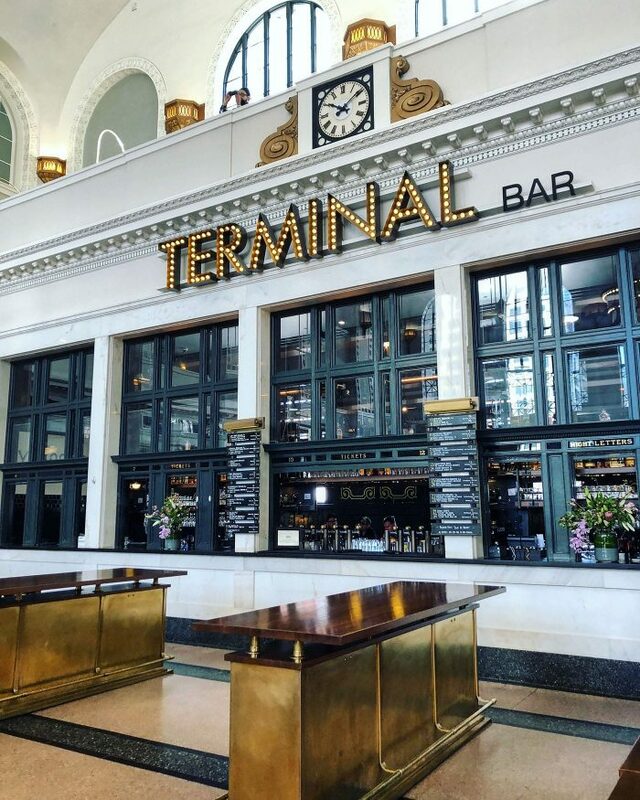 Terminal Bar – The perfect place to start your night is the Terminal Bar in Denver’s Union Station. Great for groups and central to literally everything. Syntax – If you like Motown, funk, disco, check out the link up at Syntax. My favorite place to go dancing. 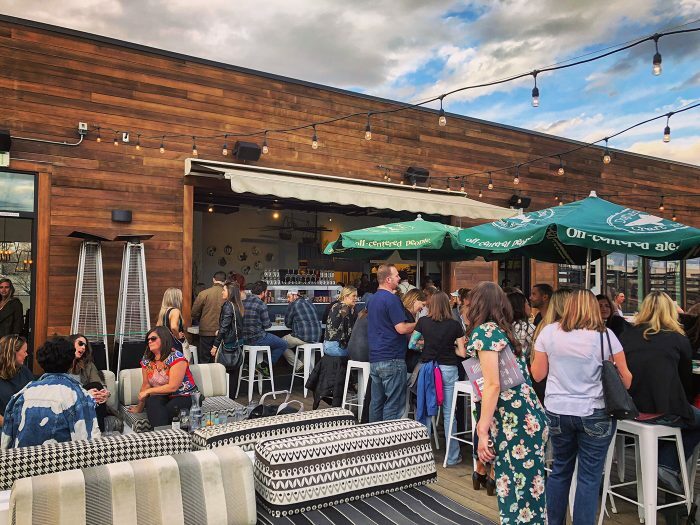 Other spots I like – Mile High Spirits, Herbs (dive bar with live music), Infinite Monkey Theorem, Great Divide Brewery, Williams & Grahm Speakeasy, Poka Lola Social Club., two great dive bars outside downtown Don’s & Lincoln’s Roadhouse. Breweries – Most breweries in the area also offer tours so you can make a day brewing tour hopping all over the city. Red Rocks – Even if you can’t make a show its worth the trip just to see the venue, walk the steps, hike the beautiful trails and explore the museum. 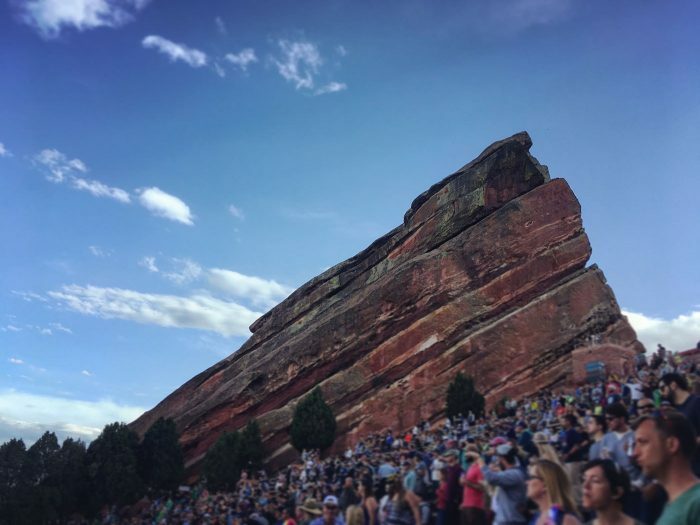 I have a full guide to visiting Red Rocks for a show here. 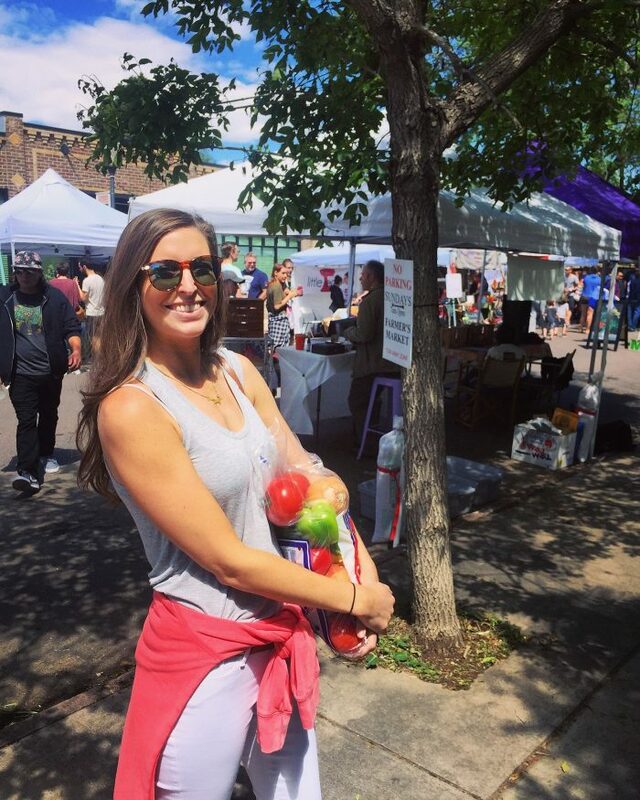 Shop – Yes!Denver has great shopping! Cherry Creek Mall is world class and Cherry Creek North is filled with high-end designers and local boutiques. The following hoods all have great shopping as well. South Pearl Street – My old stomping grounds! Every Sunday from late May to late October is a fabulous farmers market, seriously best in the city. The best sushi in the city can also be found here Sushi Den and sister restaurant Izakah Den, Plus some pretty serious shopping at Melrose & Madison, Gracie’s & Paige on Pearl. Larimer Square – Super cute area of downtown great for shopping, eating and drinking. Hailee Grace is my favorite boutique. Osteria Marco (BURRATA + PIZZA), Tag and Tamayo (Margs + Rooftop). 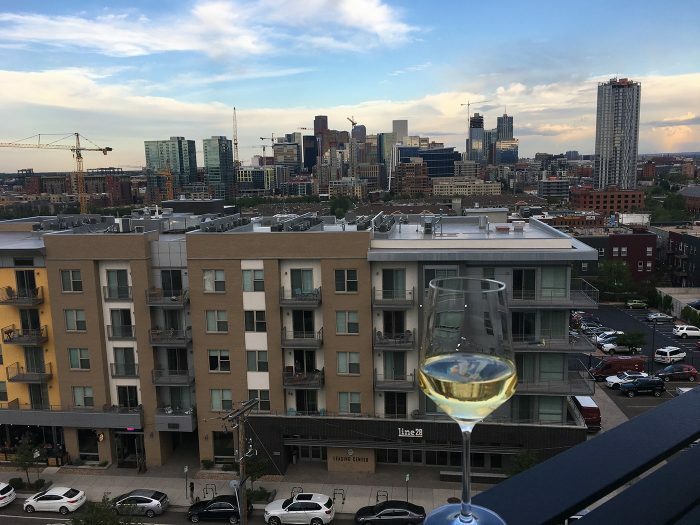 RiNo – River North is the hottest spot in Denver. The sheer number of restaurants and bars opening here is pretty crazy. Basically, everything I listed above under where to drink and eat is in RiNo. 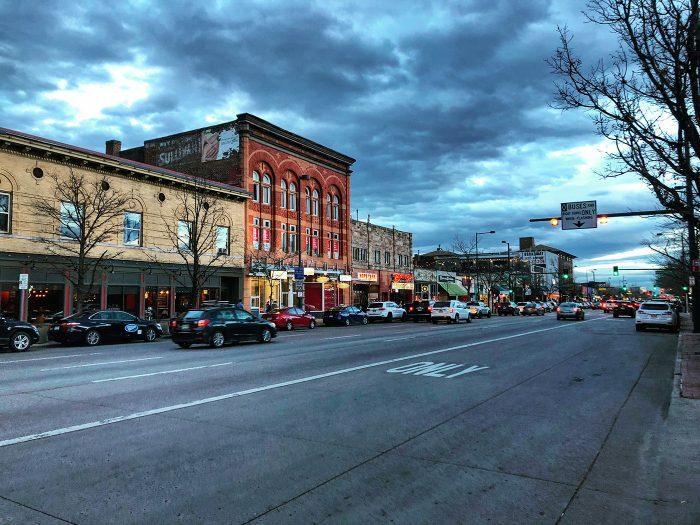 South Broadway – Some of my favorite bars and restaurants are on South Broadway. Great place to bar hop day or night. Canopy is super hip “sports” bar with great decor – byo food. Punch Bowl Social has bowling and games galore and Historians Ale House has a great rooftop. There are also lots of cool small boutiques and shops. Highlands Square – The Highlands is a super cute and hip neighborhood near downtown, you can shop, eat and drink to your heart’s content. Fire on the Mountain for wings and Blue Pan Pizza for my favorite pizza in Denver. Boulder – Probably easiest with a car but there is a bus that will take you to Boulder if you want to go explore for the day. From the bus drop off you can walk to the Flatirons for a hike and stroll the Pearl Street Mall. Planning a trip to Denver! Happy to help with any tips or recommendations – leave a comment or DM me on Instagram! Y’all there are SO many good sales happening right now!! So happy this Shopbop sale just hit. Going to order a bunch of white jeans to try! Time to get everything you need for summer and spring during Bloomies Friend & Family sale with 25% off and FREE SHIPPING! I will be ordering some sneakers, tank tops, and white jeans! 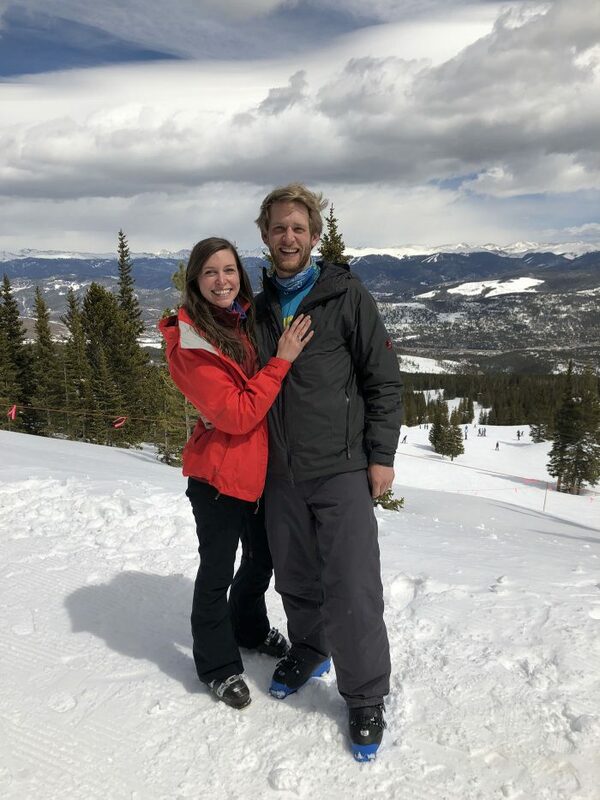 On Saturday, March 31st Clay and I got engaged!!! I am still in shock. We are beyond happy, thrilled & excited right now! The outpouring of love and support from friends, family, followers, total strangers has been incredible, to say the least. To be honest, I was scared I wasn’t going to be surprised. For one, we have been talking about getting engaged a lot recently and since I am a total planner I was having trouble figuring out when it could happen. All of our weekends are basically booked! I thought it may happen in May when we are in Atlanta for a wedding but boy was I wrong. I really just want to write this all down so I can remember every freaking moment of it. 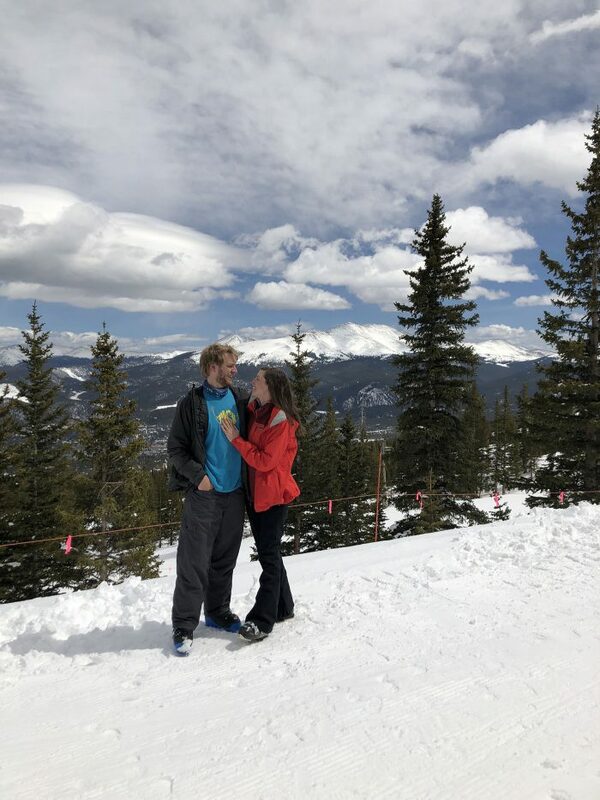 TL: DR We got engaged at the top of Peak 7 in Breckenridge and it was PERFECT!! Clay and I had been debating heading to Moab for the weekend or just skiing. Moab just seemed like a big last-minute trip so on Monday Clay mentioned us finding an Airbnb for the weekend (!!!) I, of course, started looking ASAP. I found a few spots but a lot were booked by Tuesday night. Clay ended up finding a deal on Booking.com for a room right in Breckenridge so we booked it! In retrospect this was a little odd… we had talked about getting a place before but always decide to just save money, but since it was Clay’s idea I wasn’t stopping him haha. Friday night we got tacos and margs after work then headed home and watched movies. We were both really excited about our weekend adventure. We had not had a weekend to just the two of us in a while and going on adventures is our favorite thing to do together. We decided we were in no rush to get up in the morning since we would have two full days of skiing so we slept in, packed, cleaned the house and headed up the hill. When we got to Idaho Springs Clay realized we had forgotten our ski boots. I laughed and told him its okay it was only 9:30 and since there was NO traffic we would be on the hill by 11. Clay later told me he had to try very hard to keep his cool when we had to turn around, but he had told himself it was my day and we were going to do whatever I wanted! LOL! Once we got to the hill we parked in the F lot and headed up Peak 9. Recently I found out I have Raynolds Disease which basically means your fingers and toes go numb/turn white and it’s super painful and annoying. When we got to the mountain they were already numb so I went inside to warm them up. It was in the 40s partly cloudy and not crowded at all so I suggest we do laps on peak 7 which has some of my favorite runs.